St Helens Council’s efforts in clamping down on anti-social behaviour during the lighter evenings is proving to be successful, after Merseyside Police confirmed that yet more illegal off-roaders have been stopped in their tracks. 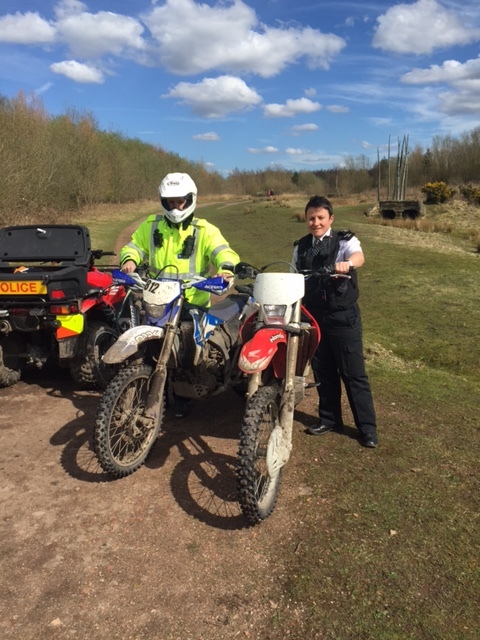 As part of the SpringWatch campaign which sees St Helens Council, Merseyside Police and other partners team up to target issues which often increase when the clocks go forward, one of which being off-road vehicle nuisance – a further seven motorbikes have recently been seized from areas cross the borough. 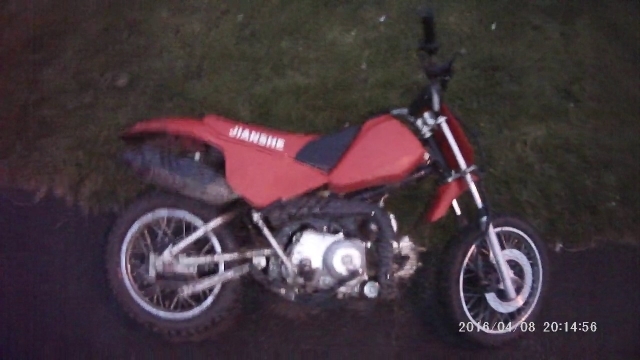 Following reports in Thatto Heath of a number of males taking it in turns riding a bike up and down Scholes Lane, a Jianshe motorbike was seized and a 17-year-old male was summonsed for no licence and no insurance offences. While in Clock Face, two bikes were recovered after one was found hidden in the Four Acre estate, with the other found abandoned outside a property in Churchfields. Elsewhere, Section 59 warnings in relation to anti-social use of motor vehicles were issued to the driver and passenger of a bike halted in Maypole Woods which was being ridden without a licence or insurance – and to two drivers who had previously been warned in Cheshire for a similar offence, who were caught riding 450cc scrambler bikes in Bold Moss. 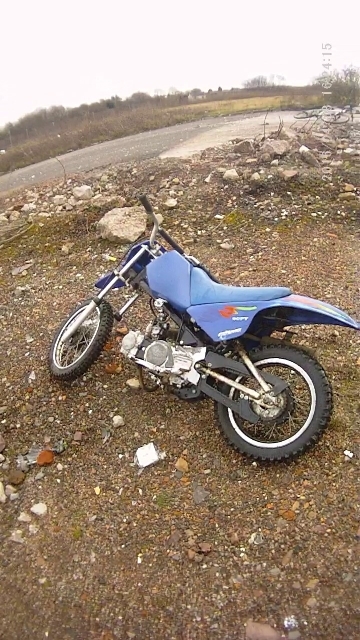 Meanwhile, a scrambler bike was found abandoned on wasteland bordering Morris Street and Watery Lane in Sutton as a result of police spooking the driver after witnessing while on pedal cycle patrol. St Helens Council’s Anti-Social Behaviour Manager for Safer Communities, Colette McIntyre, welcomed the news and insists the latest captures send out a clear message that this type of crime will not go unnoticed. “We hope that these latest seizures act as a warning to those thinking of riding off-road bikes that we take this offence very seriously and we will be on to you,” said Colette. 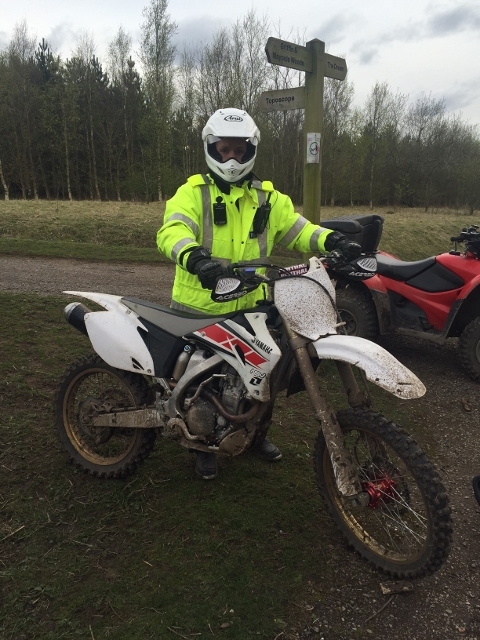 “Not only is riding an off-road bike illegal, it is also extremely dangerous, with those responsible not only putting themselves at risk, but also members of the public – including families, dog walkers and young children. 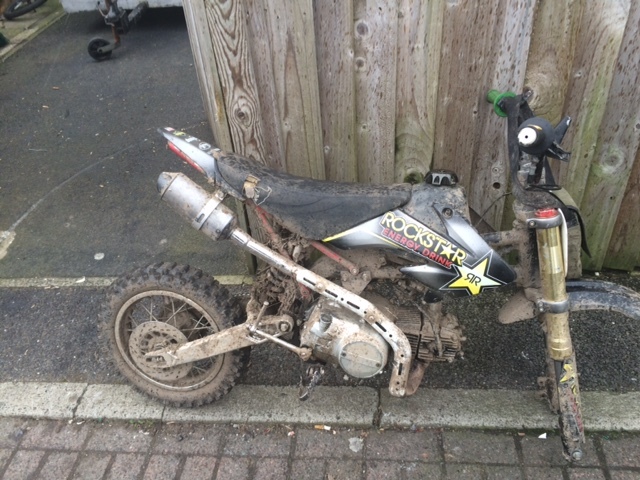 Neighbourhood Inspector Elaine Collins said: “These recoveries are further proof of the success against the anti-social and dangerous use of scrambler bikes in St Helens. To report an off-road bike, please call the police via the 101 number, or dial 999 in the event of an emergency or if there is a crime in progress. Alternatively, people can pass information anonymously to Crimestoppers, 24 hours a day, on 0800 555 111. Photo: Police officer with bike which was seized in Maypole Woods.